No visit to Yosemite National Park is complete without a stop at Mariposa Grove, home to the giant sequoias California is famous for. 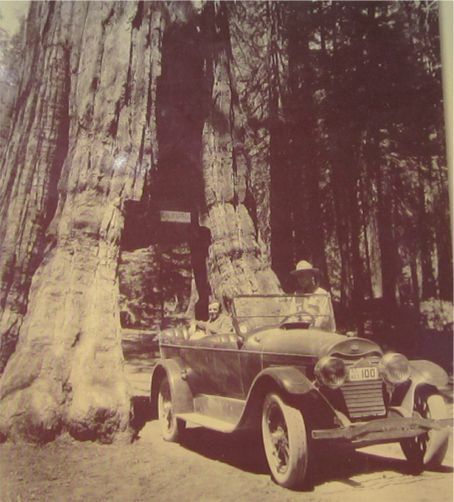 I think one of my earliest memories of learning about California in grade school was seeing a photo of someone driving a Volkswagen Beetle through a California redwood tree (you can actually still buy the postcard). 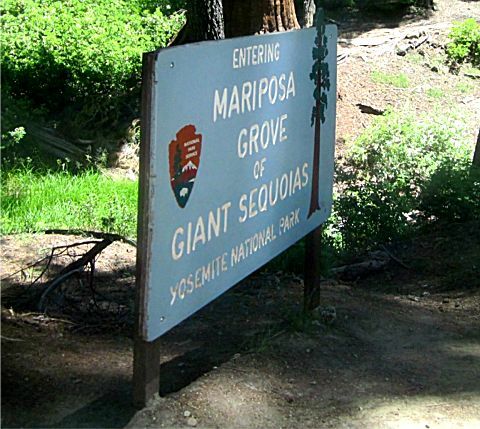 Such was my expectation when I heard about Mariposa Grove. Giant sequoias are one of the largest living things on Earth and you can view almost 500 spectacular giant sequoias at the Mariposa Grove located near Yosemite's South Entrance. 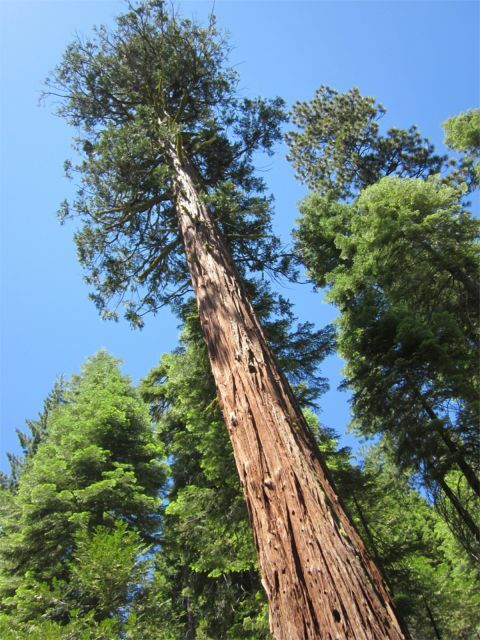 The tallest living giant sequoia on record is the General Sherman sequoia at the Giant Forest Grove in the Sequoia National Forest that towers over visitors at 274.9 feet. 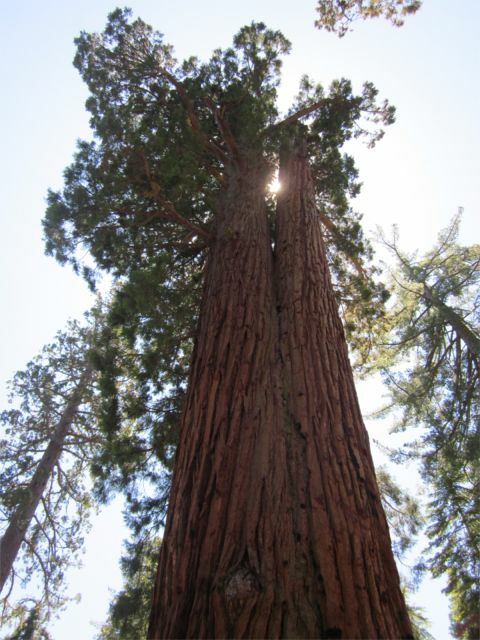 However, two of the trees in Mariposa Grove are among the 25 largest giant sequoias in the world. The "Washington" sequoia (named after President George Washington) is 236 feet tall and the "Grizzly Giant" sequoia is not only the oldest tree, but also the second largest tree in the grove standing 209 feet. The two-mile Mariposa Grove Road is open from approximately April through November. If you want to park near Mariposa Grove in Yosemite, you need to get there early in the day especially during peak summer season. We arrived at mid-day and the parking lot at the South Entrance (off of Highway 41) was already full. We were coming from Yosemite West and we were glad they posted signs in the little town of Wawona near the Wawona Hotel informing us that the lot at Mariposa Grove was full. 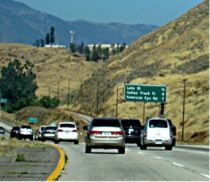 If we had made the drive to the grove without knowing this in advance, we would have had to drive back to Wawona to park and that would have wasted about an hour. From Wawona (in front of the General Store), shuttles run about every 20 minutes and they take about 15-20 minutes to get to Mariposa Grove over the winding mountain highway. IMPORTANT: The Mariposa Grove Road closes several times each day during spring through fall when their parking lot becomes full. Visitors who arrive on the shuttle bus from Wawona or Yosemite Valley are guaranteed access into the Mariposa Grove even when the parking lot is closed (as a result of being full). 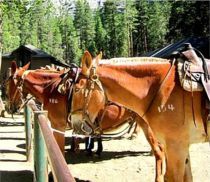 Do not make the mistake of making your visit to Mariposa Grove an after thought to your Yosemite vacation but plan to spend at least half a day there and bring a picnic lunch. There is nothing more memorable than dining among the giant sequoias. 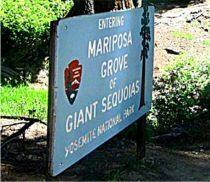 I thought Mariposa Grove would take a quick hour to pop in and out or even drive through the grove, but that was not the case and I regretted that I had not planned more time to spend there - so we MADE time. In hind sight, I wish we would have had a few more hours to spend just walking among the giant sequoias and really soaking up the majesty of it all a little longer. 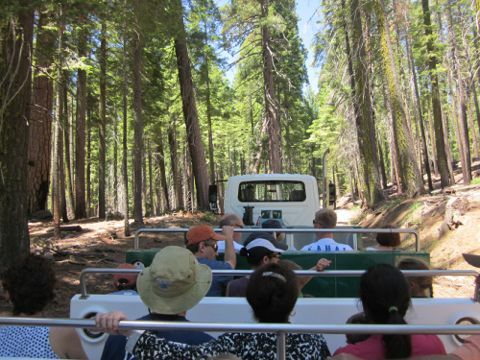 Since we were limited in time, we took the 75-minute Big Trees Tram Tour narrated in English and it's a great way to see Mariposa Grove in a short amount of time. The narration will give you lots of historical and scientific information on the giant sequoias taking up residence in the grove. 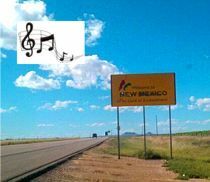 This tour is available from approximately May to October (weather permitting) and departs every half-hour starting at 9:30 a.m. with the last tram departing at 5:00 p.m. Headsets with French, Spanish, Japanese, and German translations are also available. 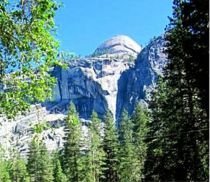 Once in the Mariposa Grove, you can either take the tram tour or you can hike to see the sequoias. It will take approximately three hours if you decide to do it on foot. The oldest giant sequoias may exceed 3,000 years in age and although they tower over you and are magnificent, the tallest trees are actually the giant sequoia's cousin — the coast redwood, which are at Muir Woods National Monument and Redwood National Park. 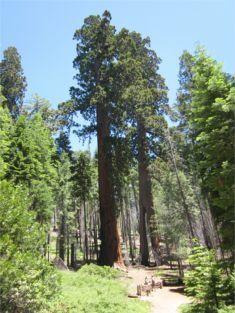 There are many unique groupings of giant sequoias in Mariposa Grove and the trees are so unique that many of them have names based on their proximity. 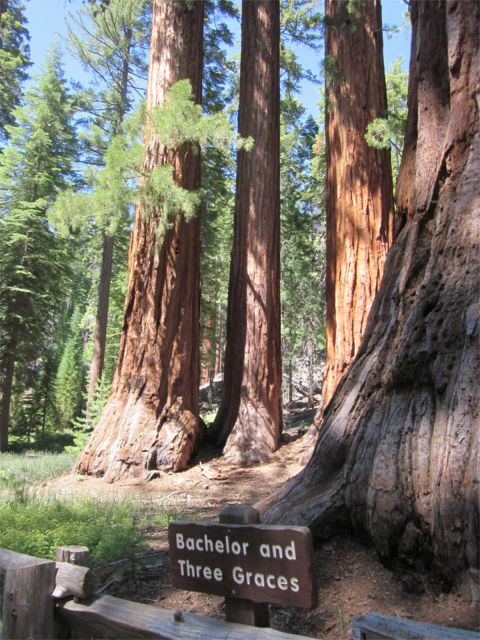 The Bachelor stands alone next to the Three Graces, three sequoias growing very close together. Their roots are so intertwined that if one of them were to fall, it would probably bring the other trees down along with it. My niece, Alexis, just loved the "Faithful Couple," a rare case in which two trees grew so close together that their trunks fused together at the base. Everyone likes a good love story and this is the best one in Mariposa Grove. It makes me smile when I see this photo (above). Many giant sequoias have "tunnels." Some tunnels are created when two sequoias grow together but countless fires throughout the decades nearly severed the "Clothespin" tree's trunk and created a space in this tree large enough to drive a pick-up truck through it. There were several fallen sequoias in Mariposa Grove and their roots are massive and give you an even greater sense of just how incredible these trees are. 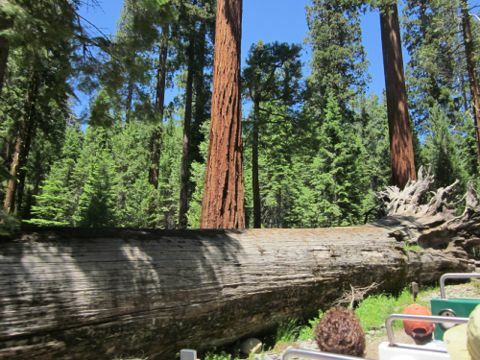 The "Fallen Monarch" sequoia fell more than three hundred years ago. Giant sequoias are decay resistant, so their remains can linger for a long time if they are not disturbed. The most famous of the fallen sequoias is the "Wawona Tunnel Tree." In 1895, a tunnel was cut through this tree as a marketing scheme to attract visitors to the grove and to allow coaches to pass through it. This is the tree that you see on postcards and older photos with a Volkswagen Beetle driving through it. It was renamed the "Fallen Tunnel Tree" after it fell over in the late sixties during a snow storm. The tree's collapse was a shock that resulted in a greater awareness of the fragile ecosystems, even for the massive giant sequoias. 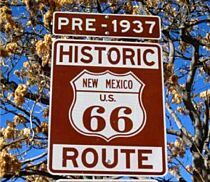 When it collapsed in 1969, the preservation program in the National Parks in the United States reached a significant turning point. The "California Tunnel Tree" survives today and offers a glimpse into early tourism promotion and transportation in the grove. 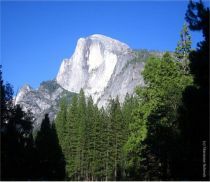 Both trees were instrumental in publicizing Mariposa Grove and promoting its inclusion into Yosemite National Park in 1906. 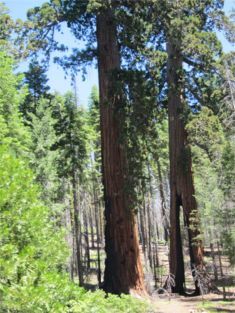 There are so many more giant sequoia photos that I took during my visit to Mariposa Grove, but I hope you will make a plan to see it for yourself and to visit Yosemite. It's a wonderful place for family and friends to spend a vacation full of amazing memories you'll cherish for a lifetime. 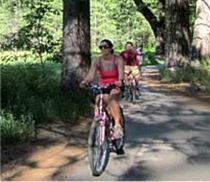 In addition to Mariposa Grove, we have more Yosemite Valley activities you must do on this website to make sure you get the most out of your time in Yosemite National Park. You know, your vacation can take over a year to save up for and only a second to ruin. Purchase travel insurance through Travel Guard. Starting at $30.